Ransom Perry was born on 6 February 1784 in Wake County, North Carolina. He married Katharine Elizabeth Martin circa 1810. Ransom Perry became a widower at the 22 February 1844 death of his wife Katharine Elizabeth Martin. He married Leah Powell on 30 May 1844 in Bartholomew County, Indiana. He and Leah Powell were divorced on 14 March 1846 at Bartholomew County, Indiana. He married Dicy Ann Blunk on 18 May 1846 in Jackson County, Indiana. He and Dicy Ann Blunk were divorced on 15 February 1847 at Jackson County, Indiana. He married Drucilla Prickett on 3 September 1847 in Johnson County, Indiana. 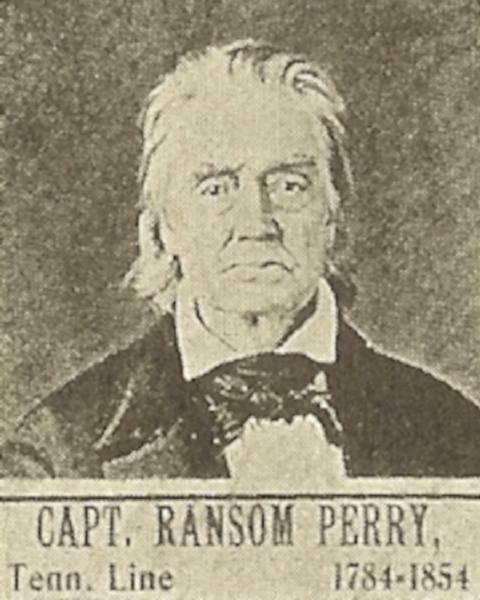 Ransom Perry died circa July 1854 in Bartholomew County, Indiana.